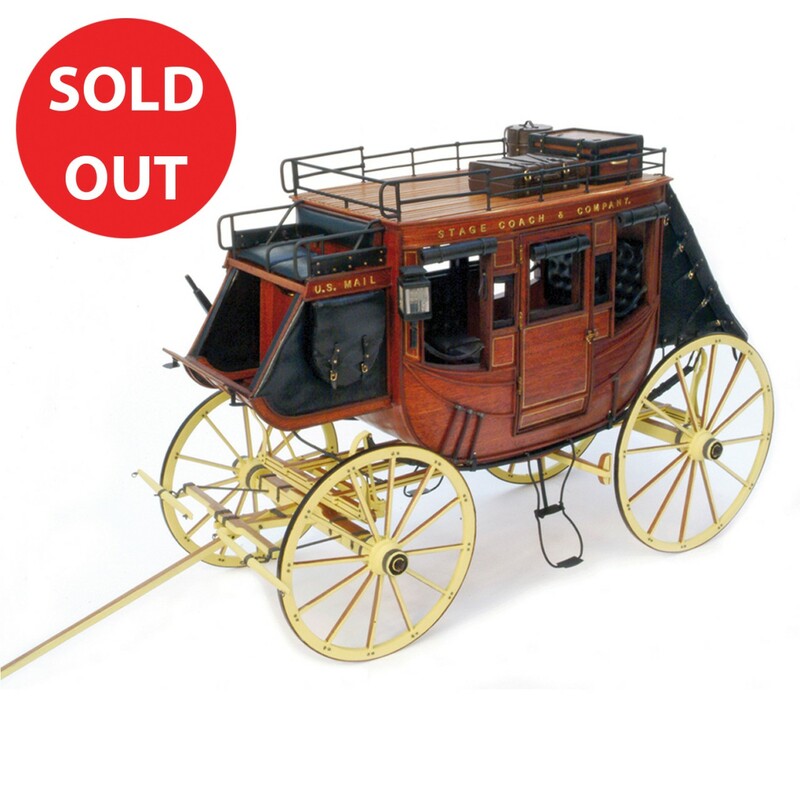 Discover the 1:10 scale model of the Stage Coach, American West coach of 1848. Even as a model-making novice, you can assemble this unique 1:10 scale model with clear step-by-step instructions we provide to show you how to assemble and finish the parts - every step of the way. 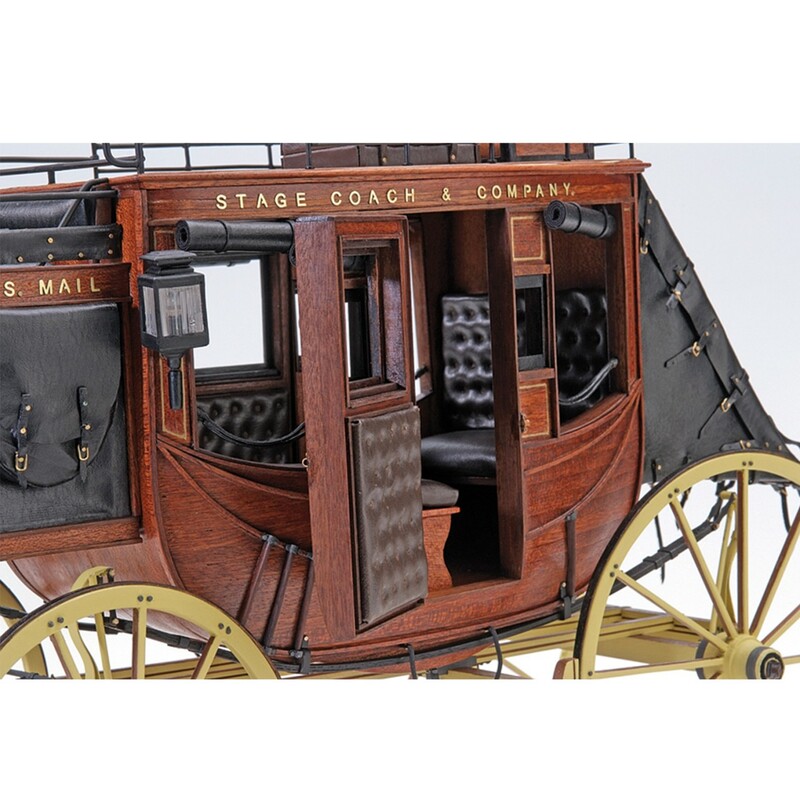 Since 1716 the coaches travelled the distance between Boston and Rhode Island, but its design as we know it today would see the light around 1820. Now it has an oval box, a door on each side, an outside seat for the coachman and reinforced suspensions. 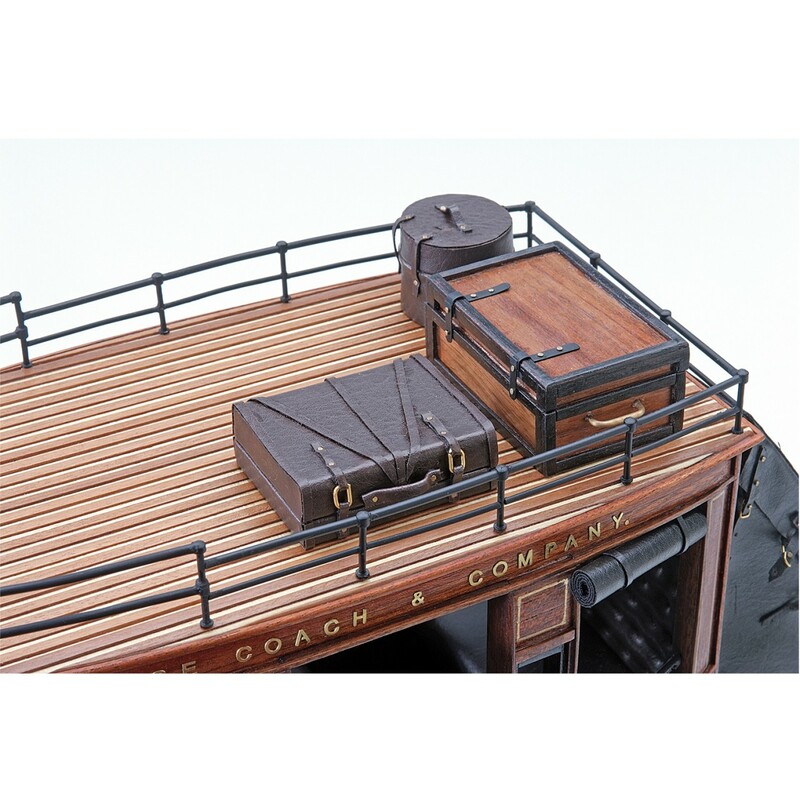 Guided by our detailed step-by-step instructions you can complete your replica of this elegant coach. These coaches were almost the only way of transport available to the majority of the population to cross the country, but it was due to the development of the west when they were most used, long before the railway. Most of the western coaches were under the contract of the United States Government to transport the mail and news of new laws, passengers traveling on different coaches. The company Wells Fargo used many of these coaches to carry not only passengers but also money, gold and silver. Its manufacture and utilization was stopped around 1910 in most states. Build your own 1:10 scale model of the Stage Coach 1848, American West coach. The kit includes everything needed for its complete assembly: pieces of wood, brass, smelting, leather and photogravure, as well as a set with everything necessary to give real lighting to the model. Throughout your building experience, you will have help from an easy-to-follow step-by-step assembly guide. You can also take a look also at our exclusive Forum and discuss with fellow modellers.